Hello again! 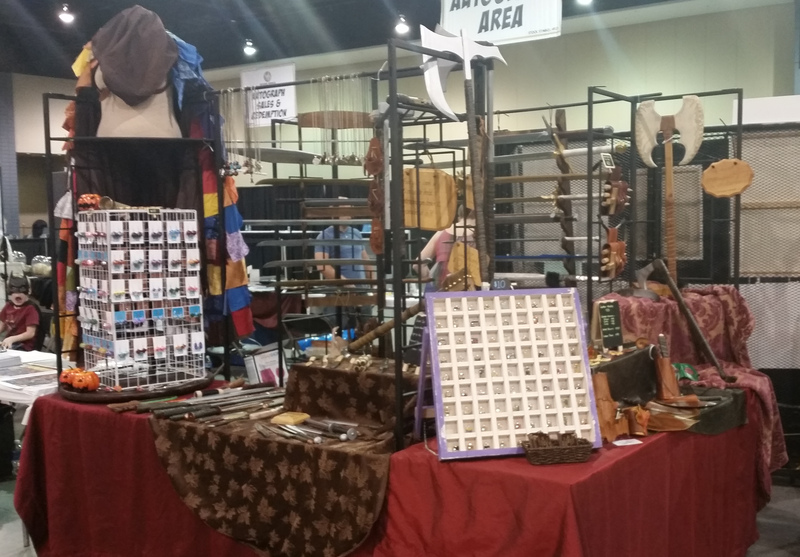 It’s a busy time of year for us, and we just got back from our second convention in two weeks. 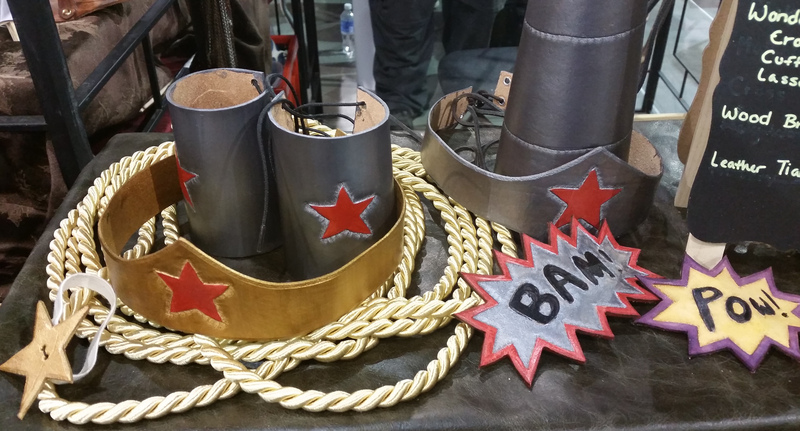 This time, Wyrd Armouries took our wares to Richmond for Wizard World’s Comic Con. 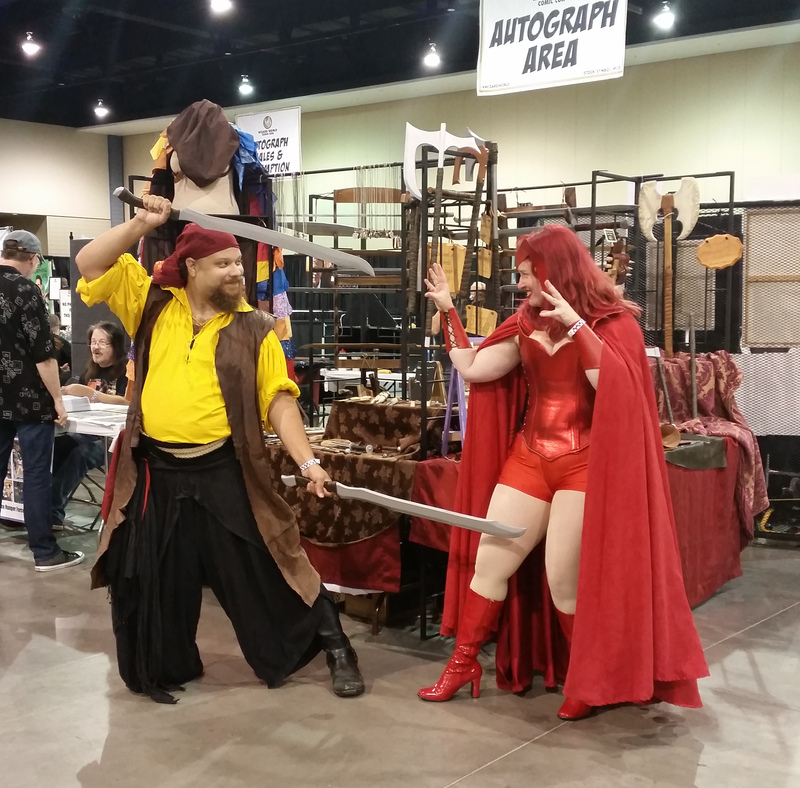 This was our first time doing a comic convention together – I have done several as Wyrd and Wired – and it was interesting to see what people were interested in and what they bought. Overall, I’d put this convention in the “okay” category. Well, once we got past a few car disasters (the first car we packed decided being in gear wasn’t fun anymore) and horrible traffic to get there. We did alright financially, but it was a lot more work to get there and was not quite as fun overall. 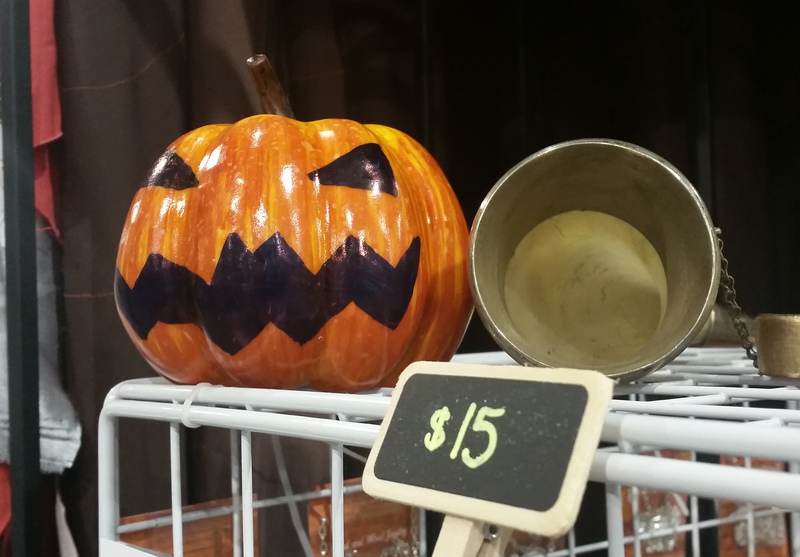 Getting people to part with money took a lot more work than we are used to at a convention. If I was looking at this convention as an attendee, it seems to be much more about autographs and photo ops than panels and content. Which, if that’s what you like, was fine and there were good guests. 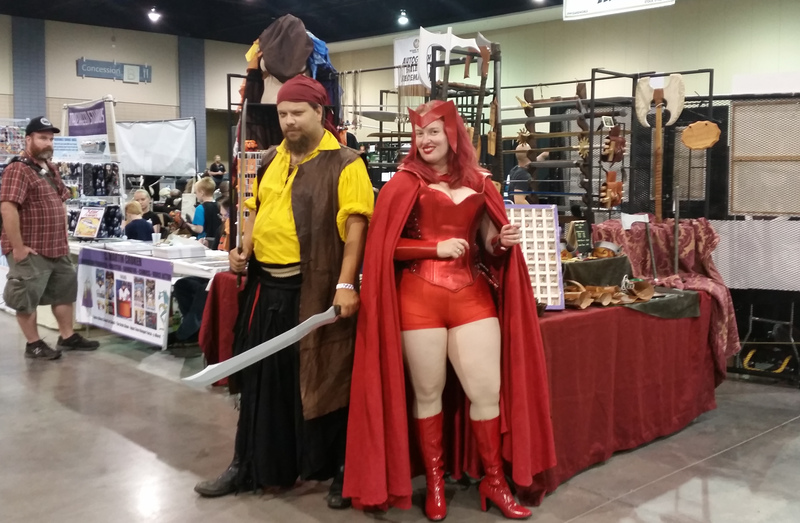 One of the highlights of the convention was watching all of the costumes go by. From an amazing amazon of a Wonder Woman to a tiny Doctor Who teething on his sonic screwdriver, people watching is fun. And seeing many of our favorite fellow vendors! We were diagonal from our old neighbor, Emizart, doing her second show. So many cute little dragons. After doing conventions for a while, each one is a bit like a reunion with old friends. 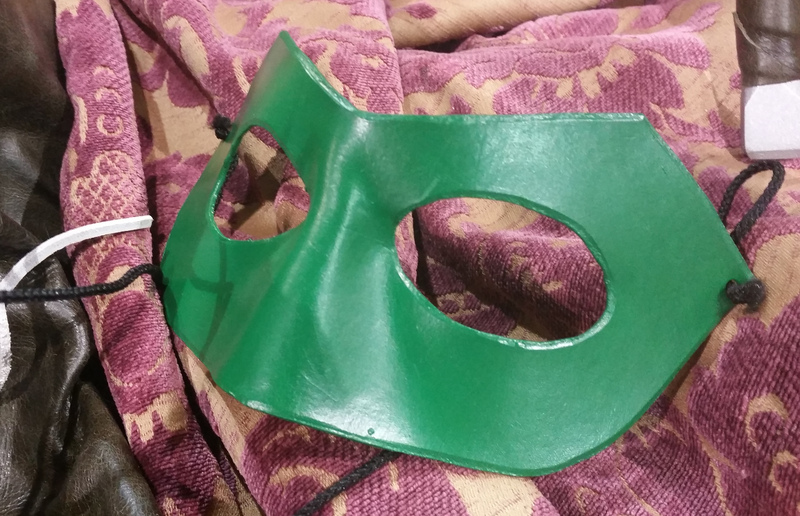 Poor lonely Green Lantern – you’re the only one of my new leather masks that didn’t sell! We have the full set now for our favorite amazon. Yes, the rope is tied as an actual lasso. Hey Spidey! There’s a friend here looking for you. 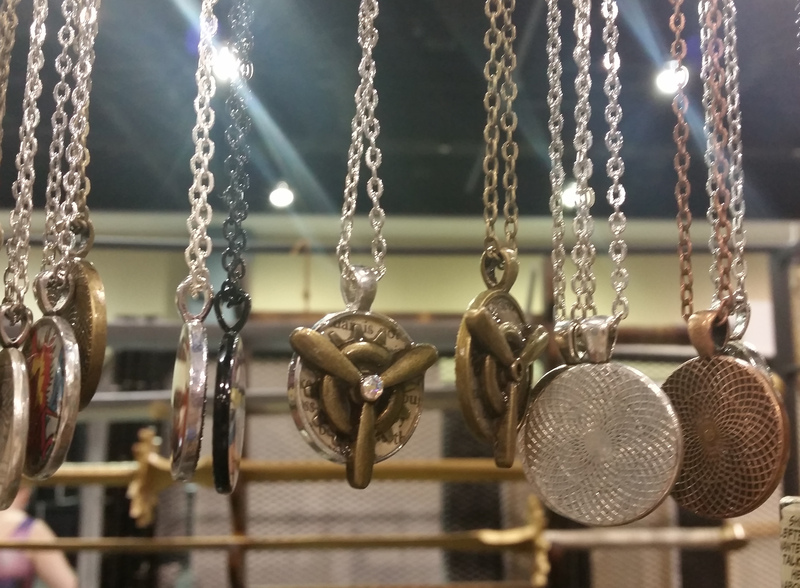 Fun and easy gifts – these steampunk gear, propeller, and old book necklaces are still popular. The full corner table setup. We added the Gleeman’s Cloak up high as an attention getter. It worked. 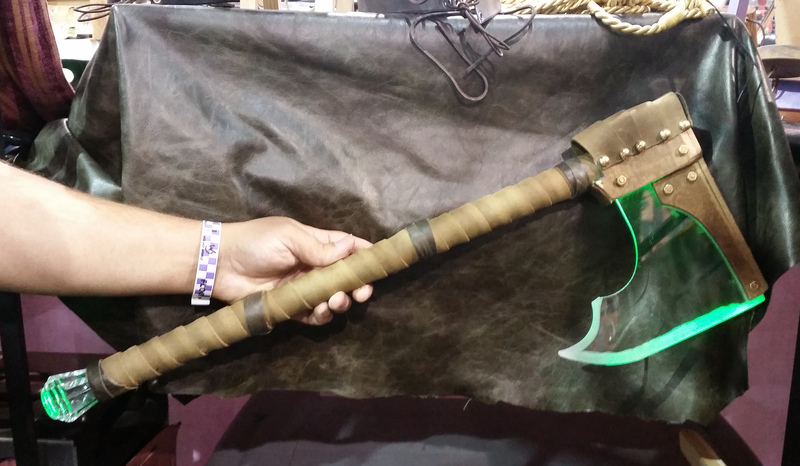 Last minute addition – glowing green axe! See you again (in this guise) at Wizard World Nashville! But coming up next, Invervention (Internet Convention in DC).